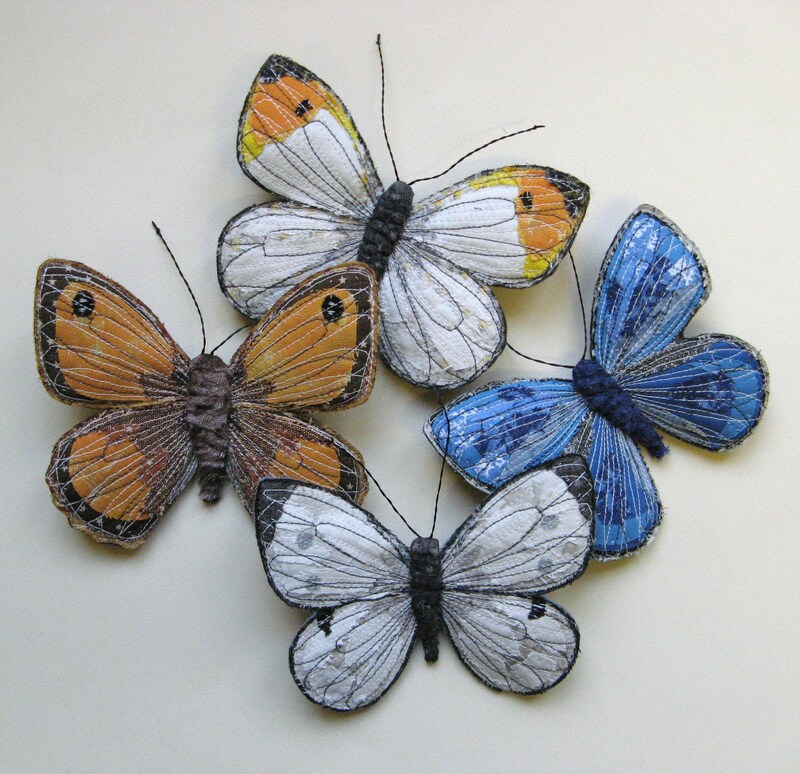 These are some butterflies I`ve been working on this week. 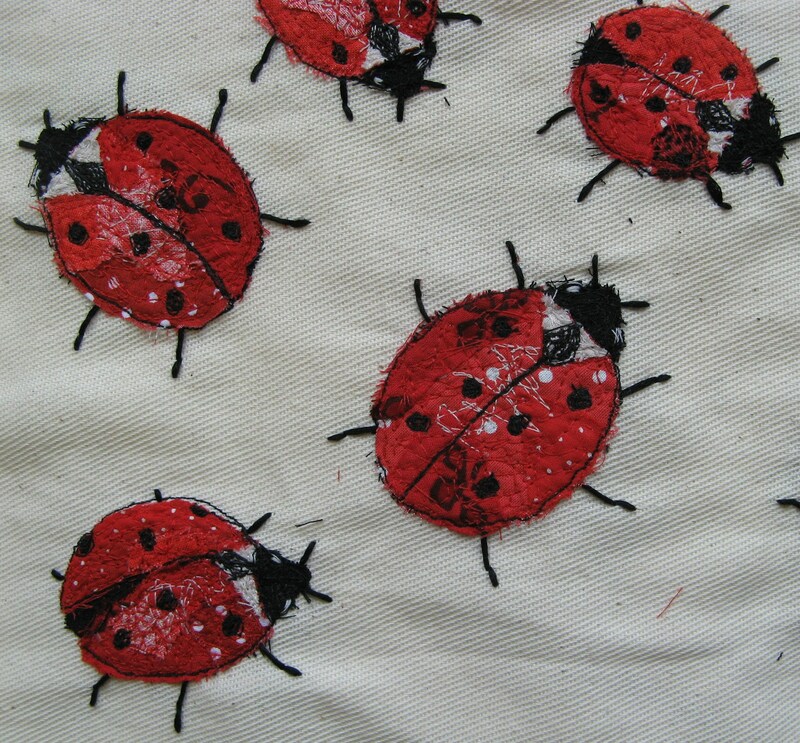 They are part of the little collection that I`m sending down to Made in Britain in a few days. 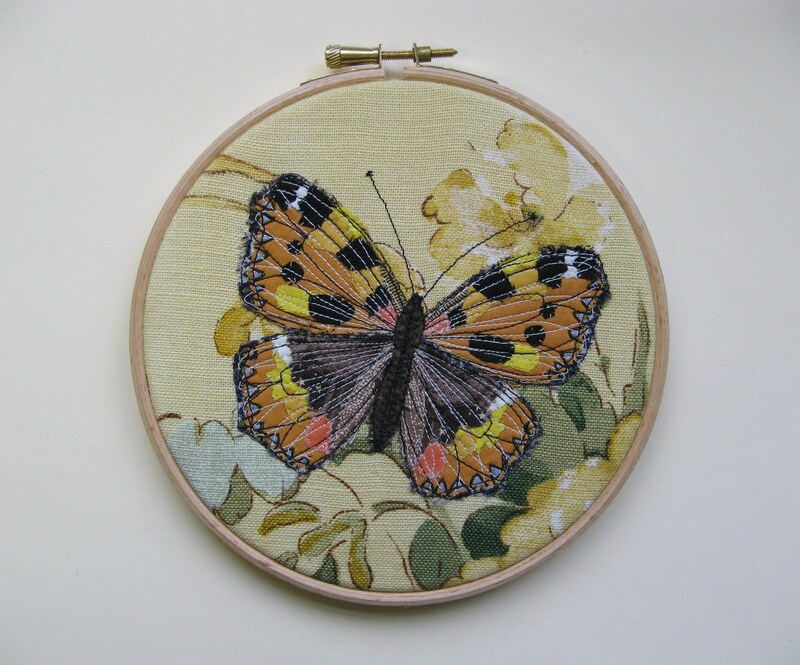 My version of an Orange Tip. 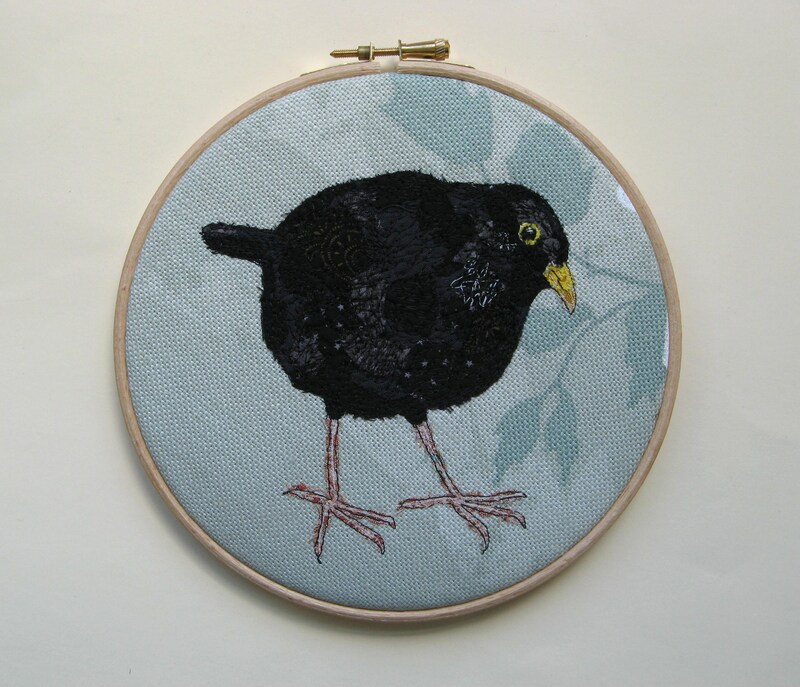 I think this one is my favourite. 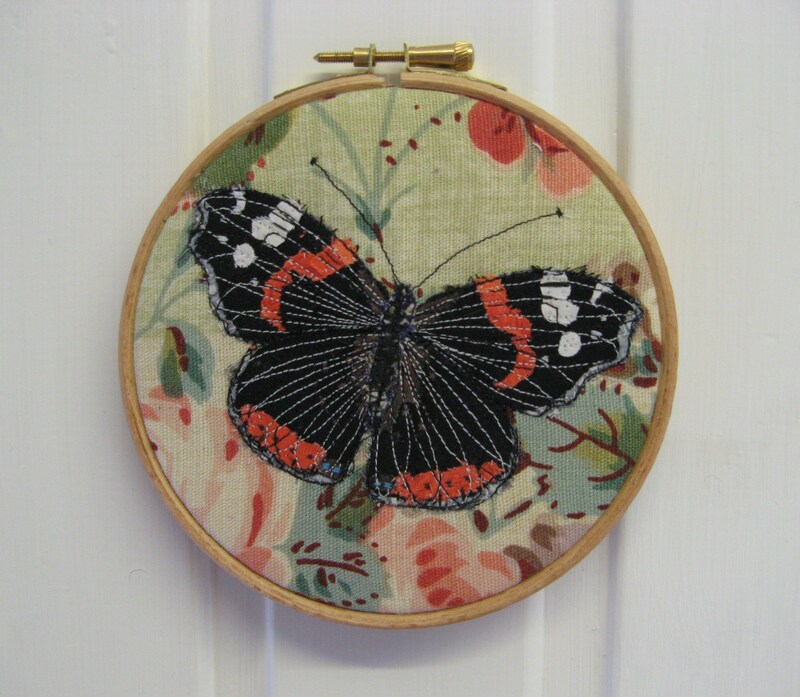 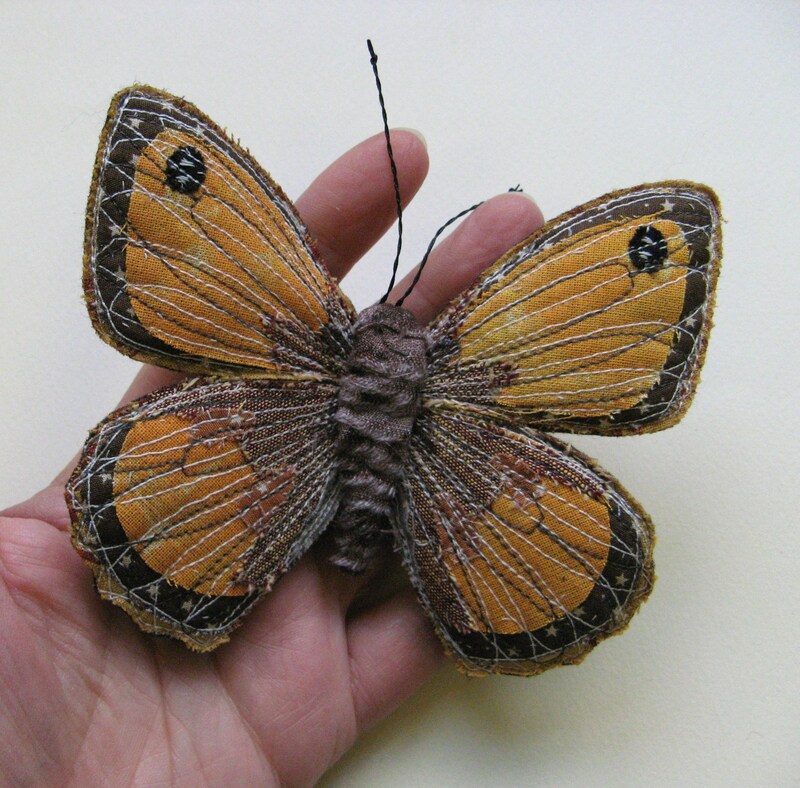 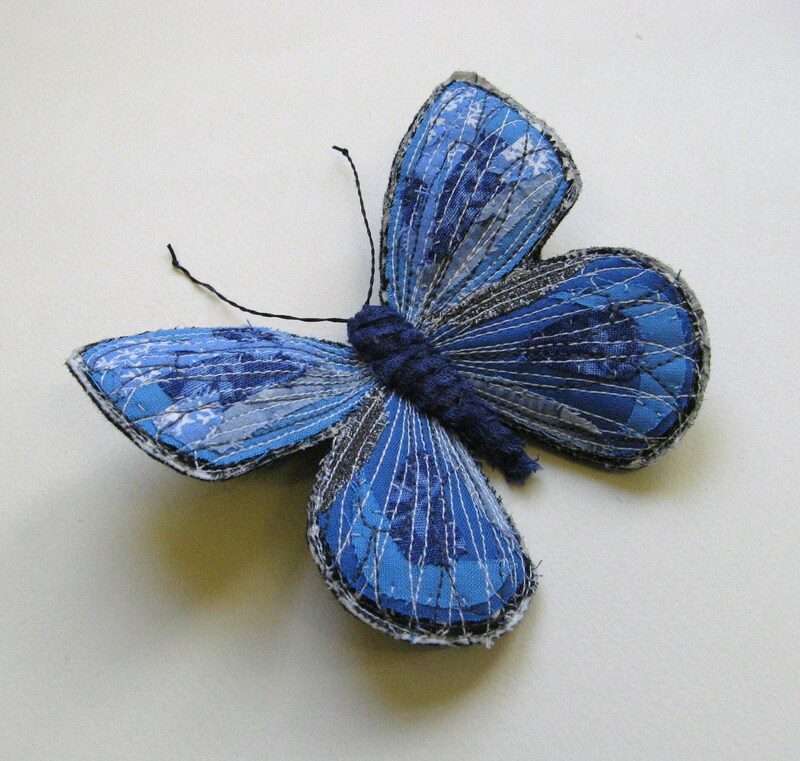 I try to make my butterflies as close to the real thing as I can, although on a slightly larger scale! 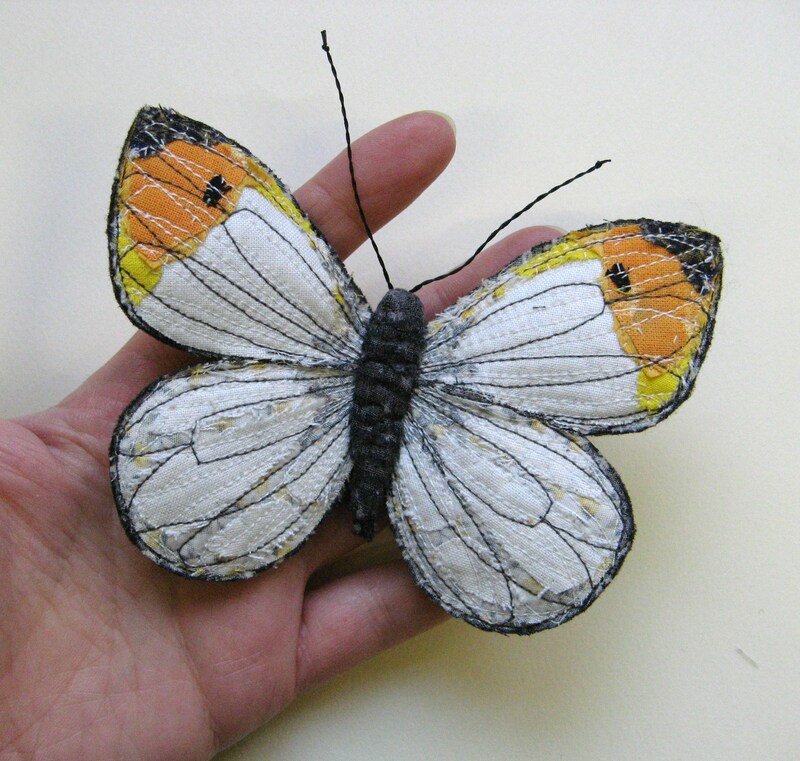 A male Large White. 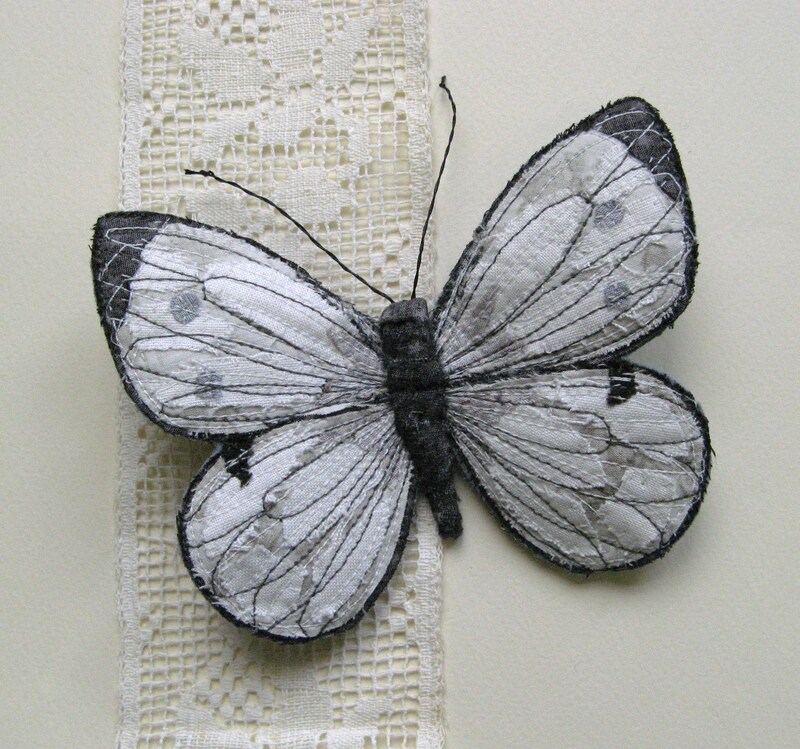 I`ve made a few of these white butterflies now and really love layering white on white. 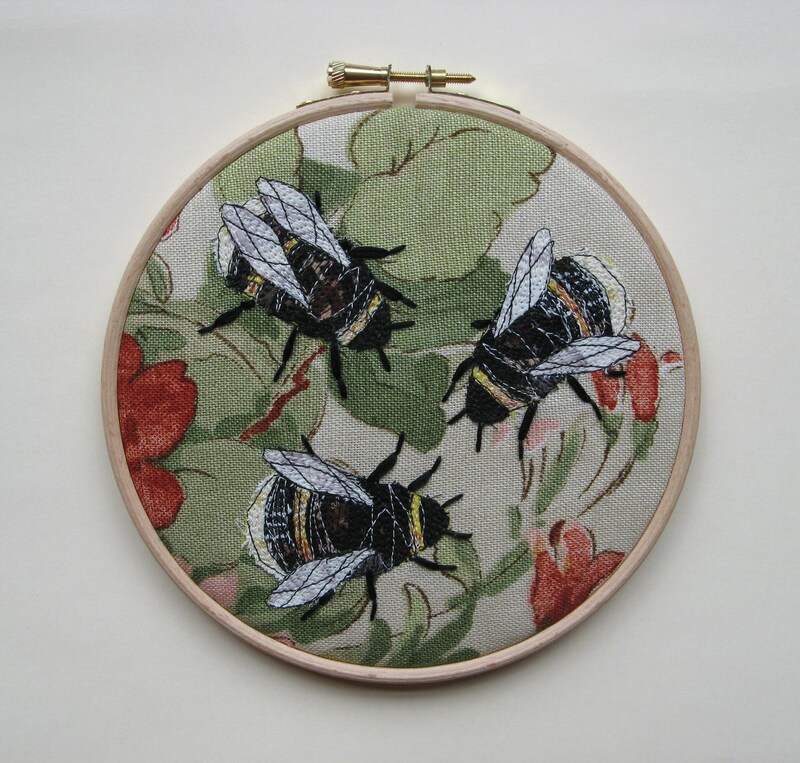 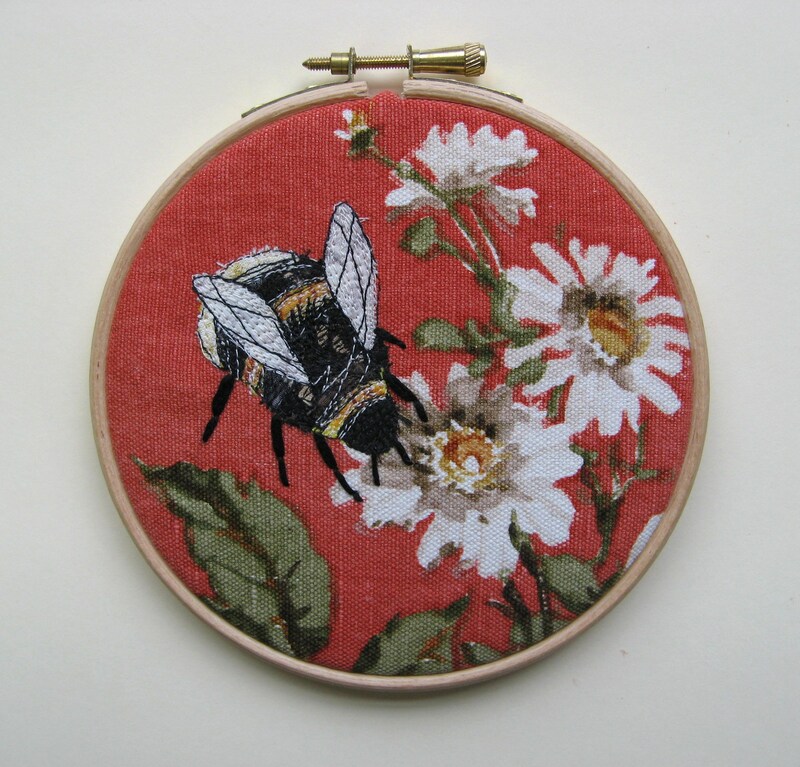 I`ve been concentrating on making bumble bees this week , a few brooches and embroidery hoops to top up my Etsy shop and to send down to Made in Britain in Bristol. 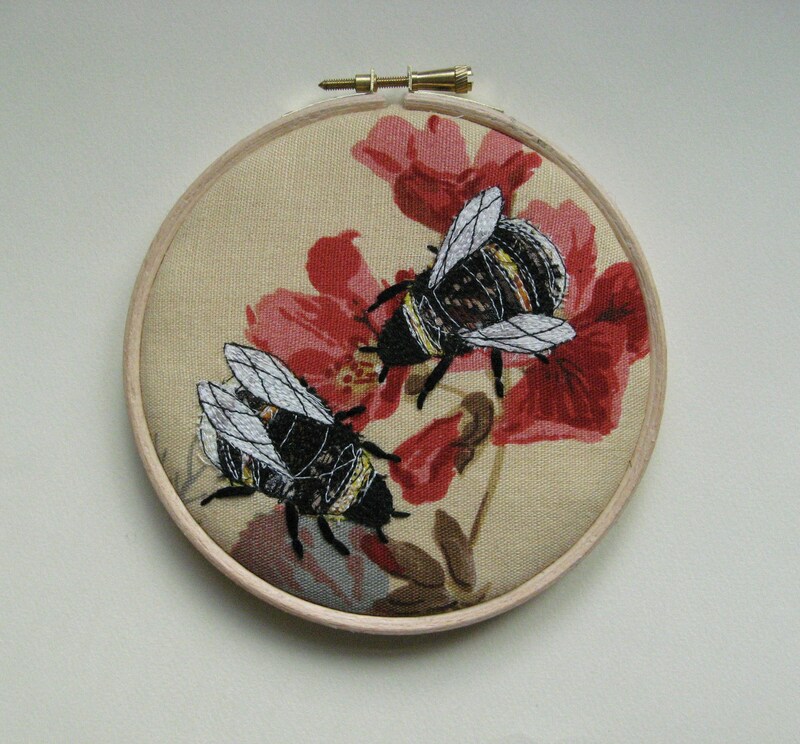 I really enjoyed it as I hadn`t made them for a while and it was nice to make something that reminded me of Summer on such dark, gloomy Autumnal days. 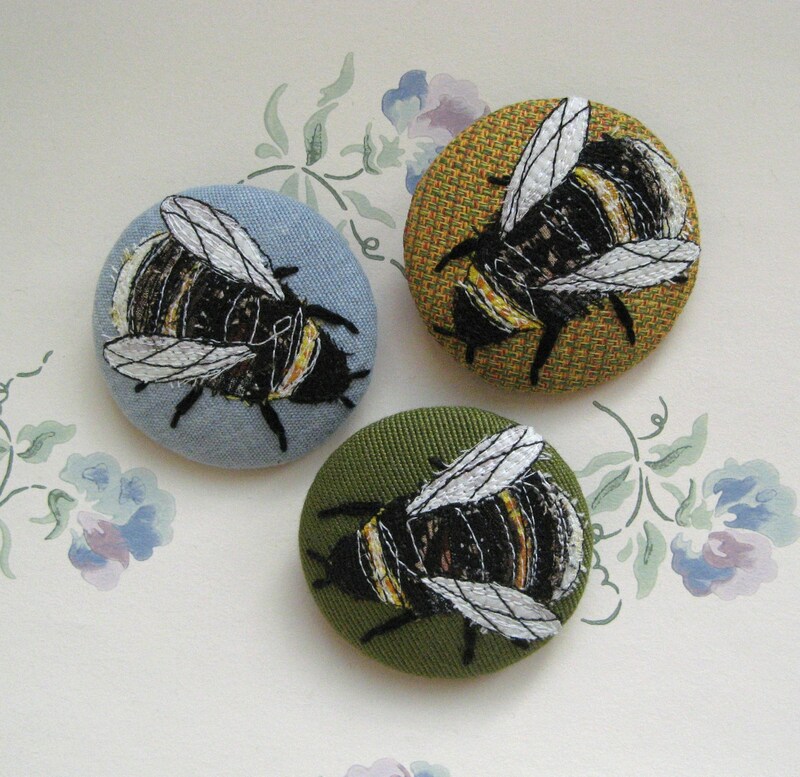 Three brooches for my Etsy shop. 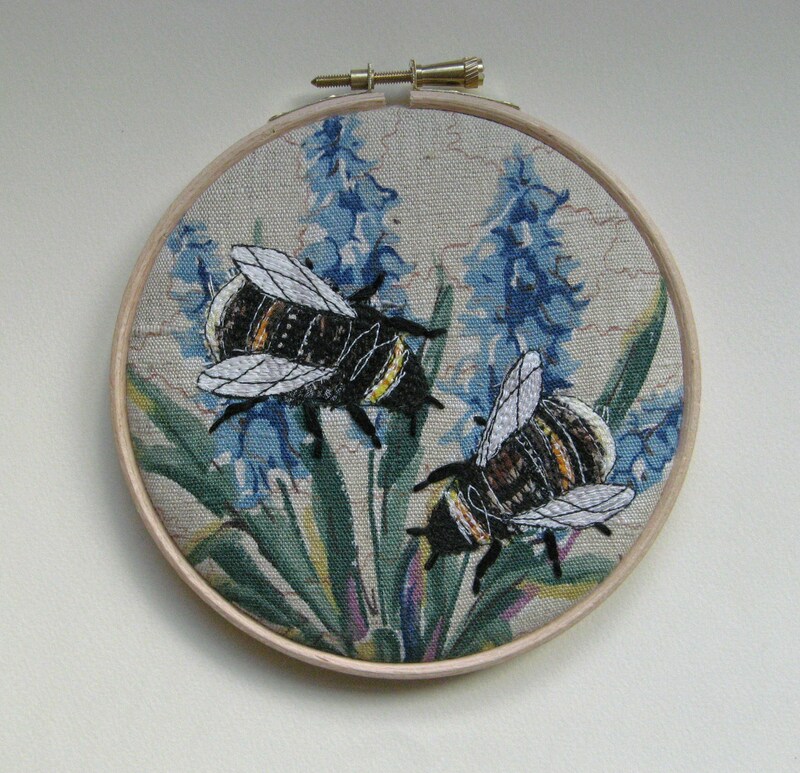 I love this vintage fabric, printed with bluebells. 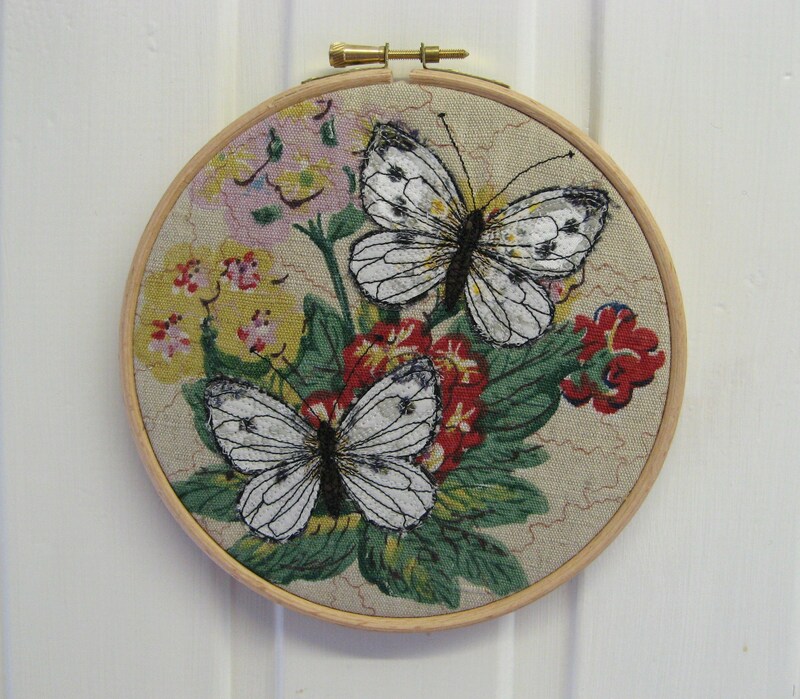 A piece of from an old curtain which is printed all over with little vignettes of cottage gardens. 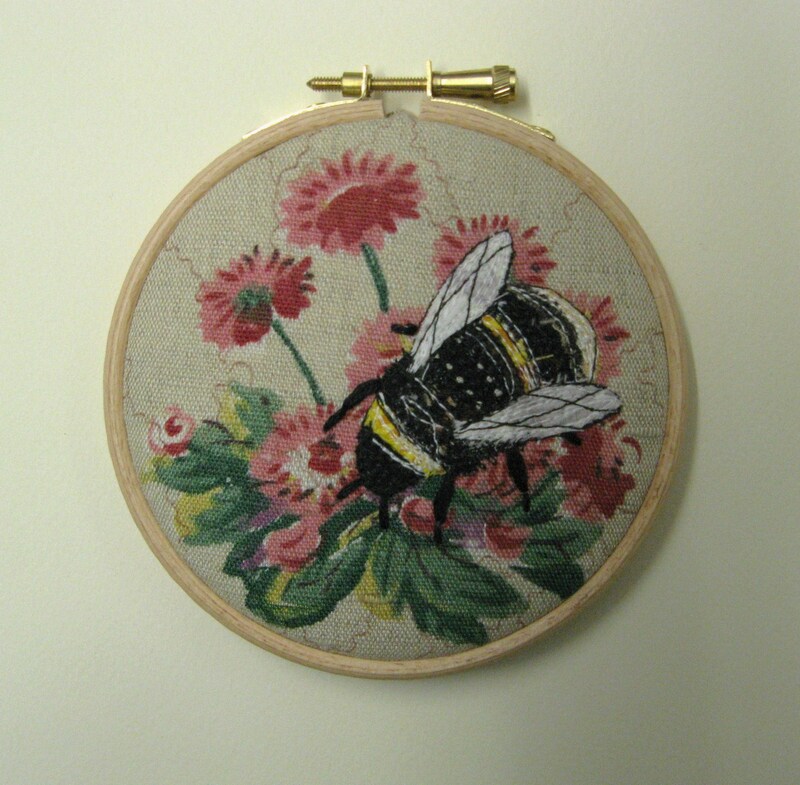 This little piece, printed with Livingstone daisies, came from the same curtain. 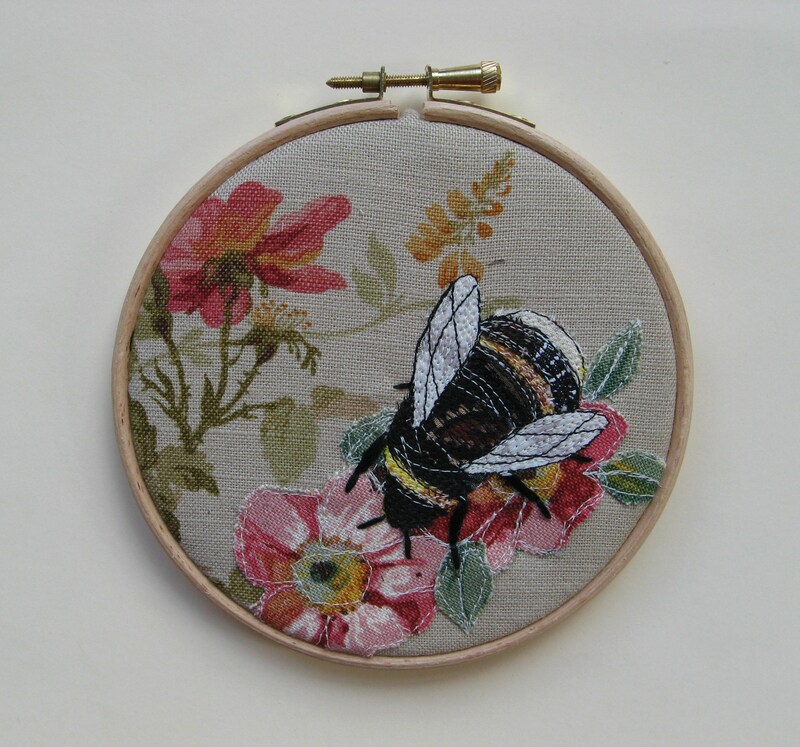 Just perfect for adding a little bee and setting in a cute 4″ hoop. 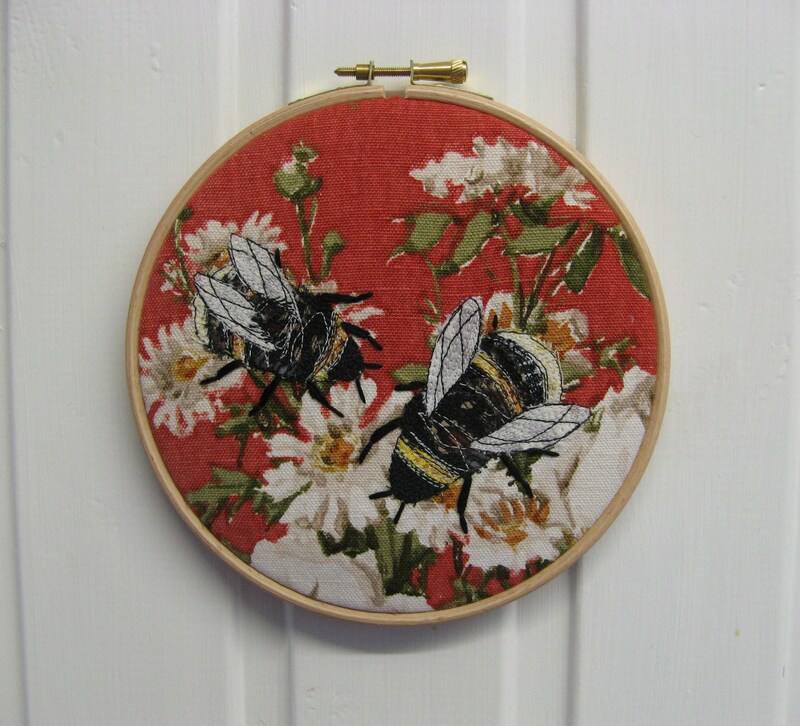 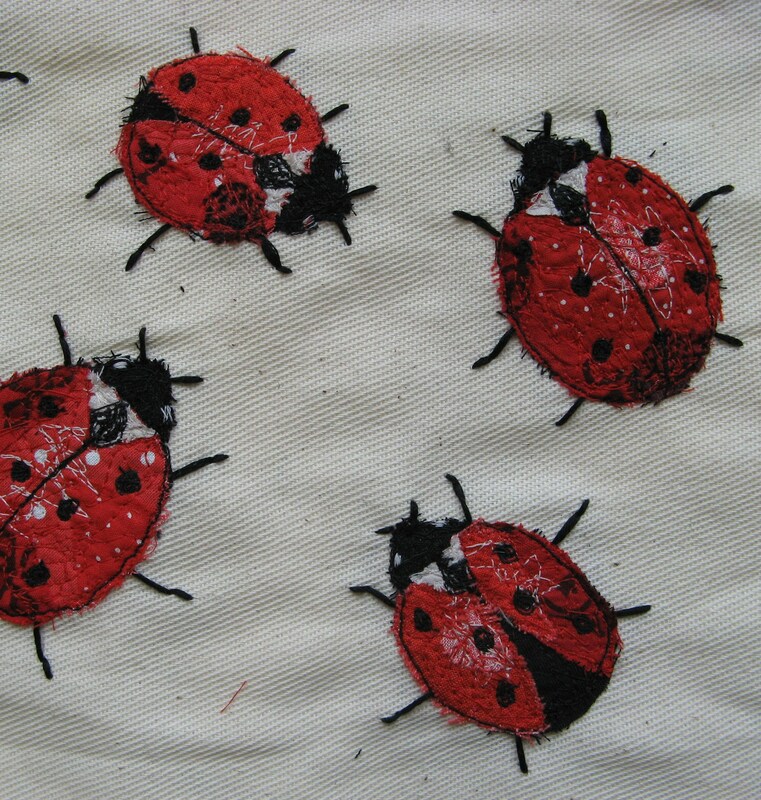 Another pair of bees stitched onto a remnant of vintage linen. 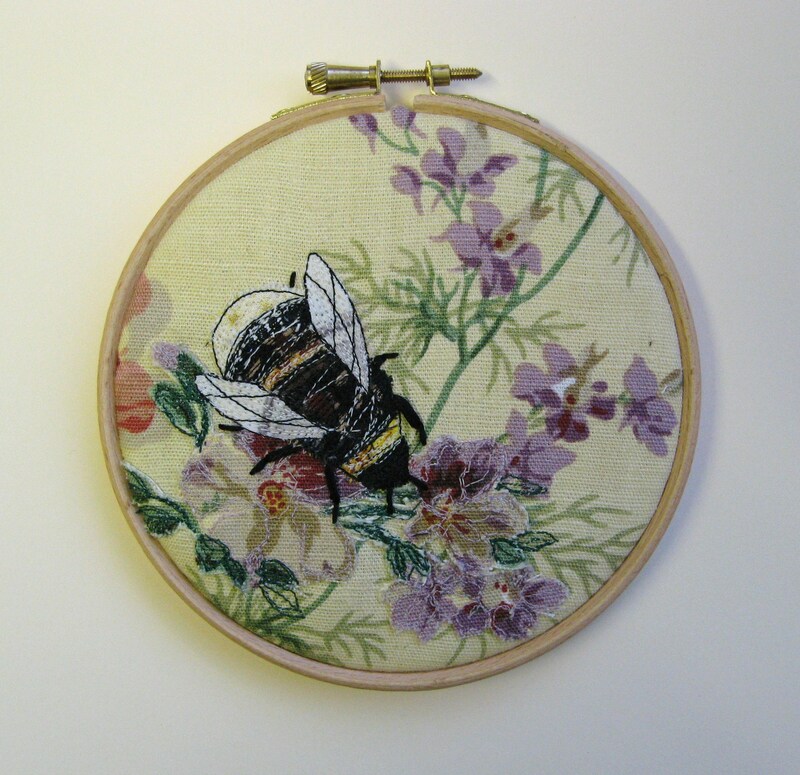 I thought the colours in this woven fabric worked really well as a background for this bee. 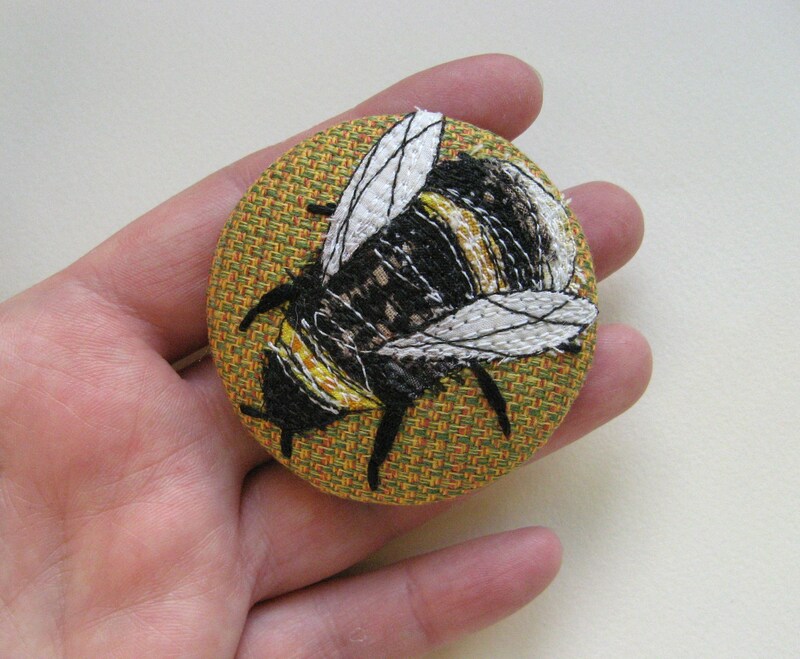 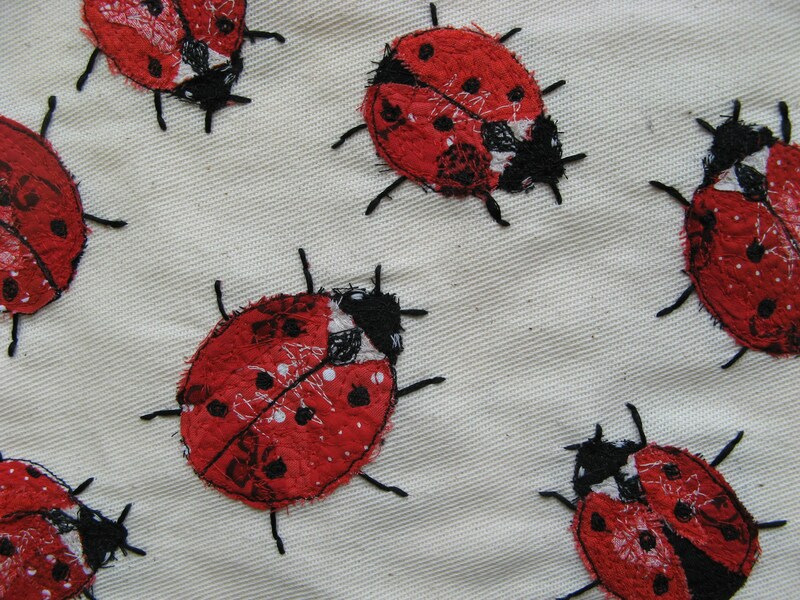 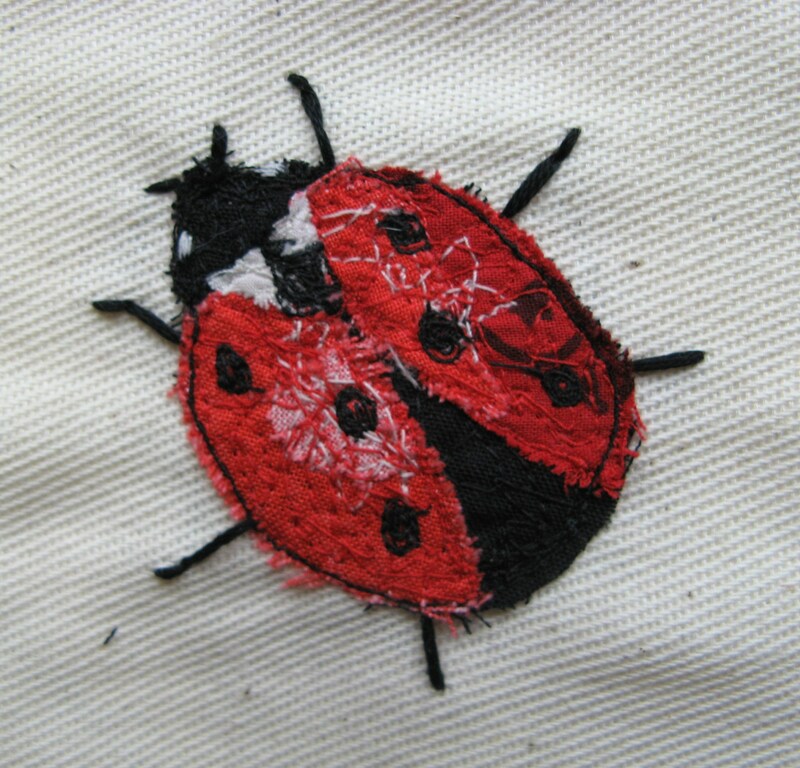 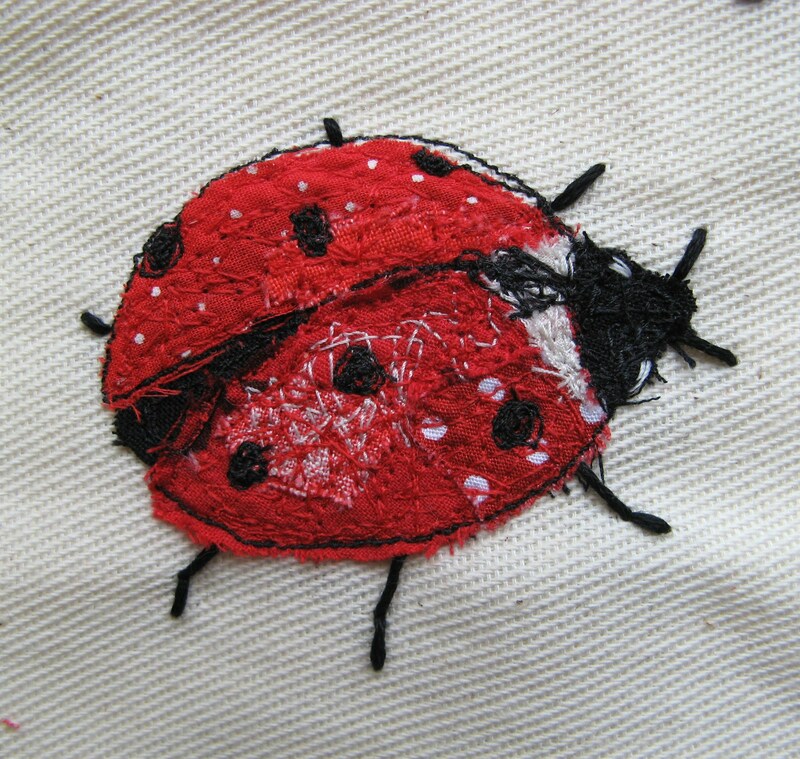 It was a tiny piece of recycled furnishing fabric, just big enough to make one brooch! 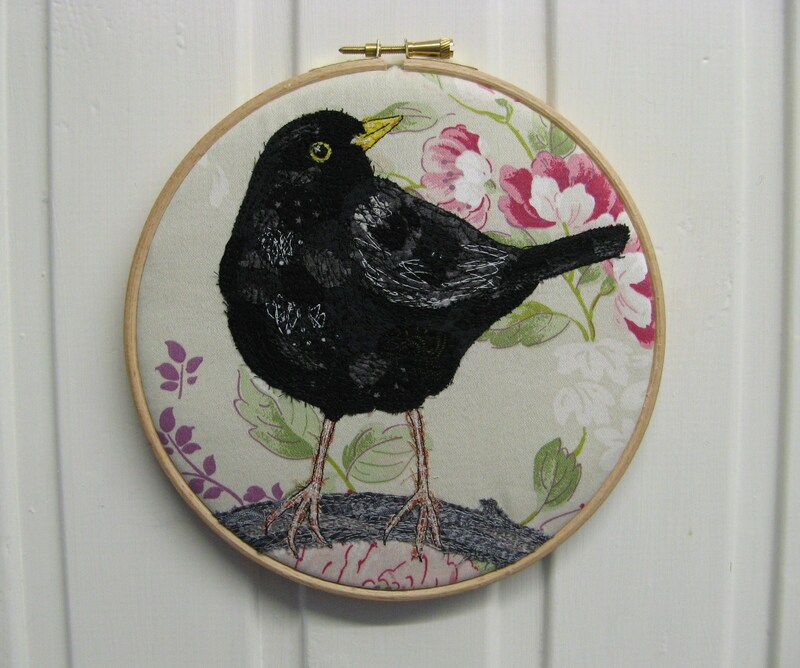 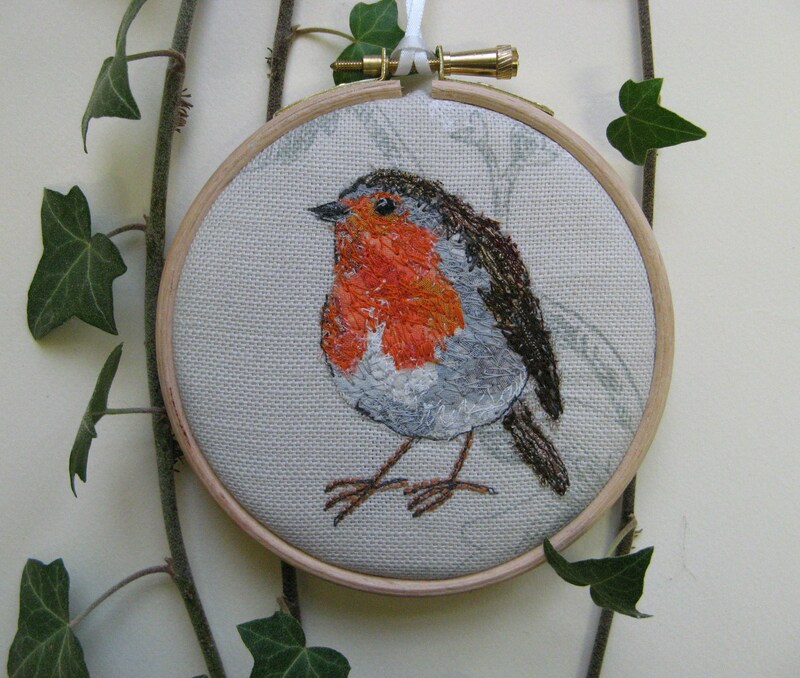 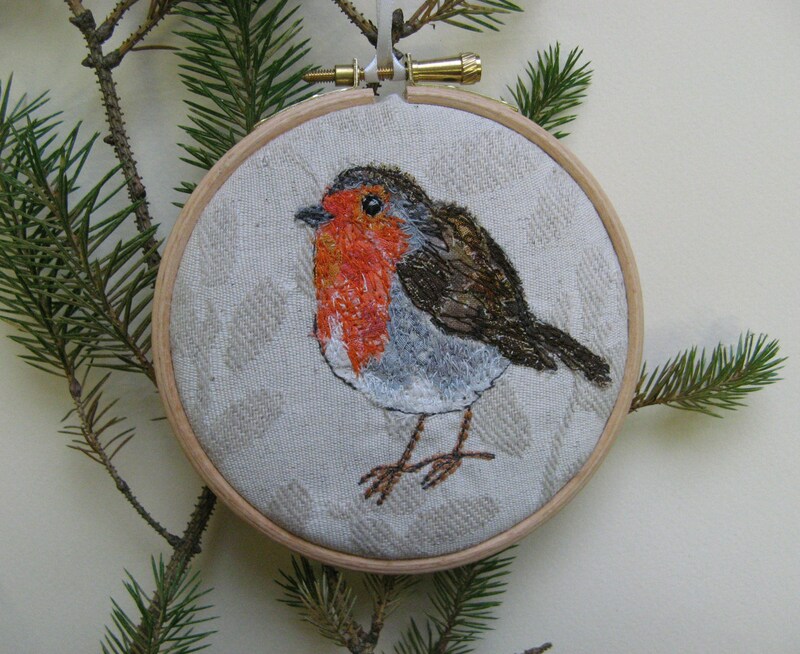 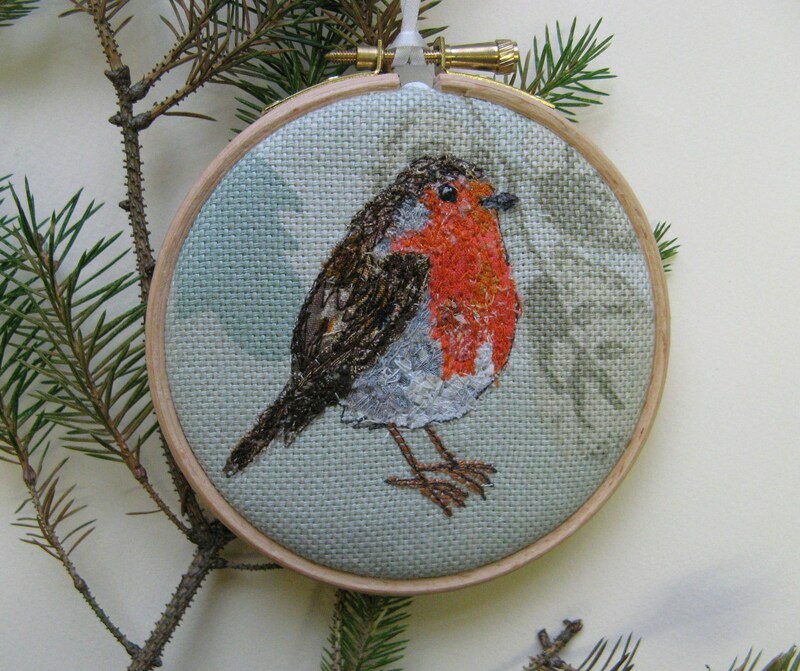 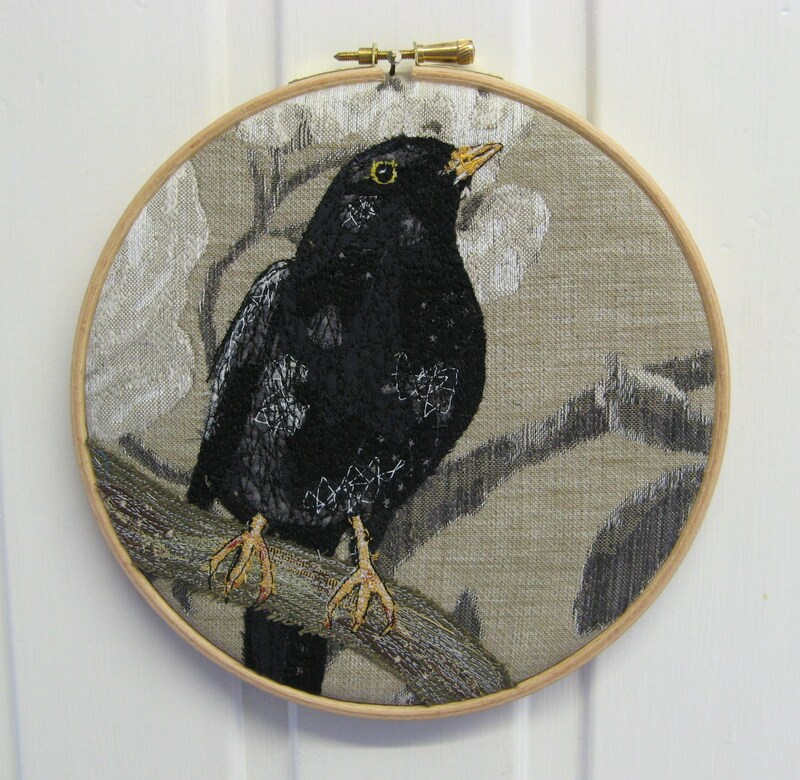 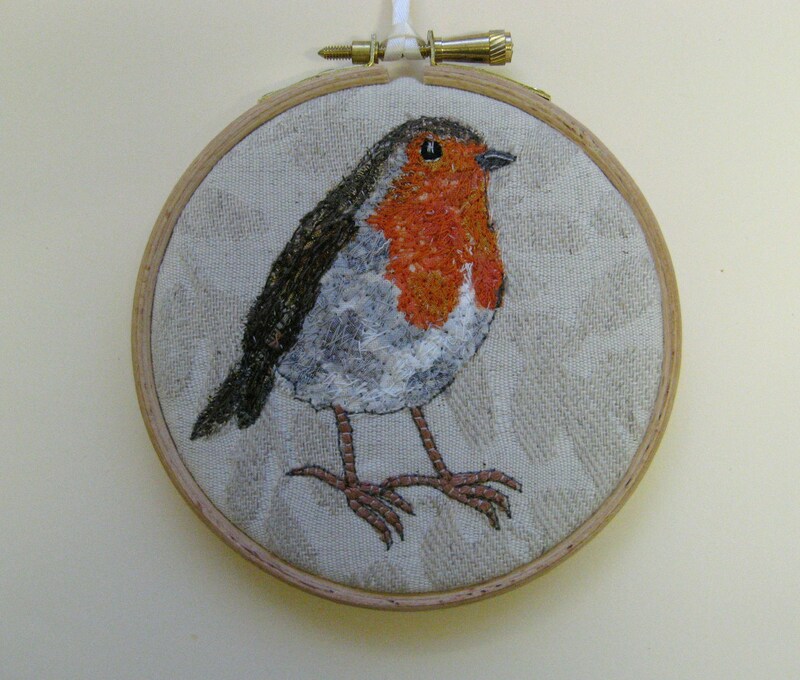 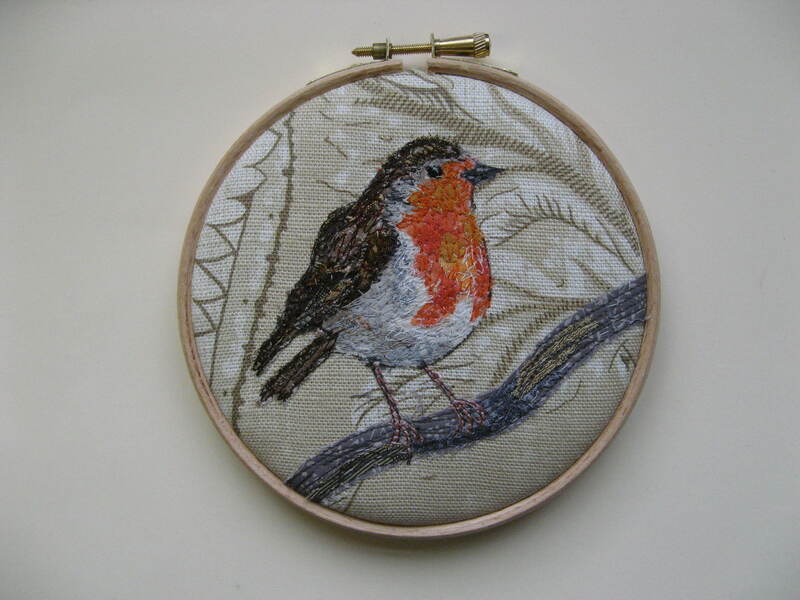 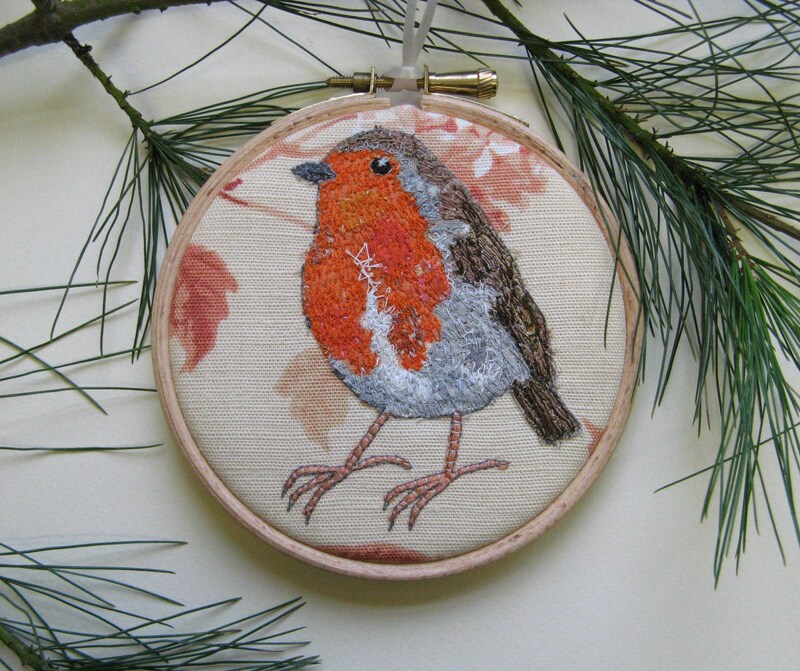 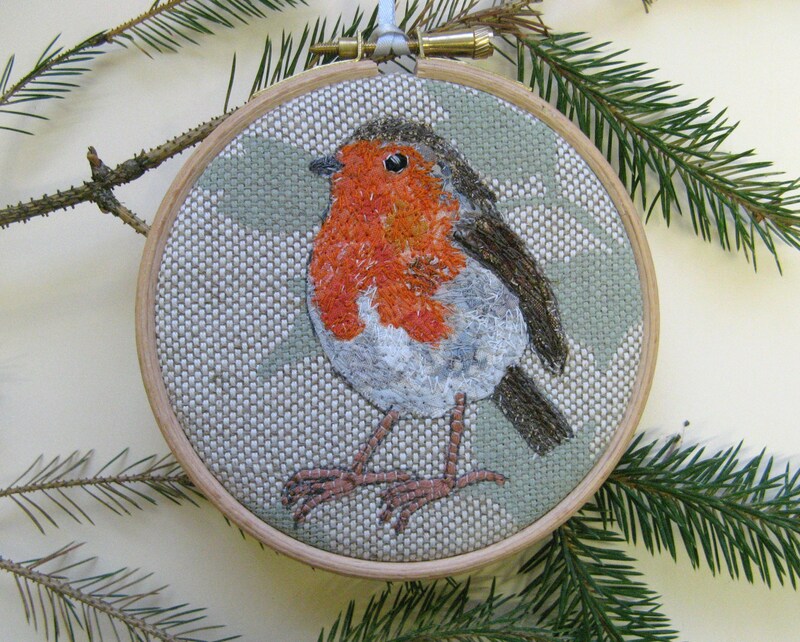 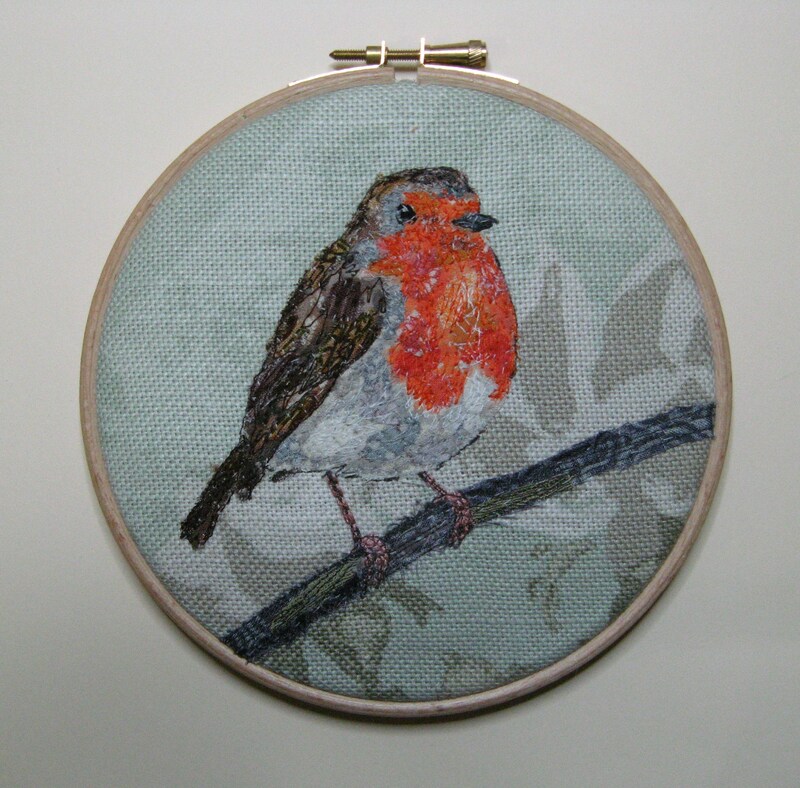 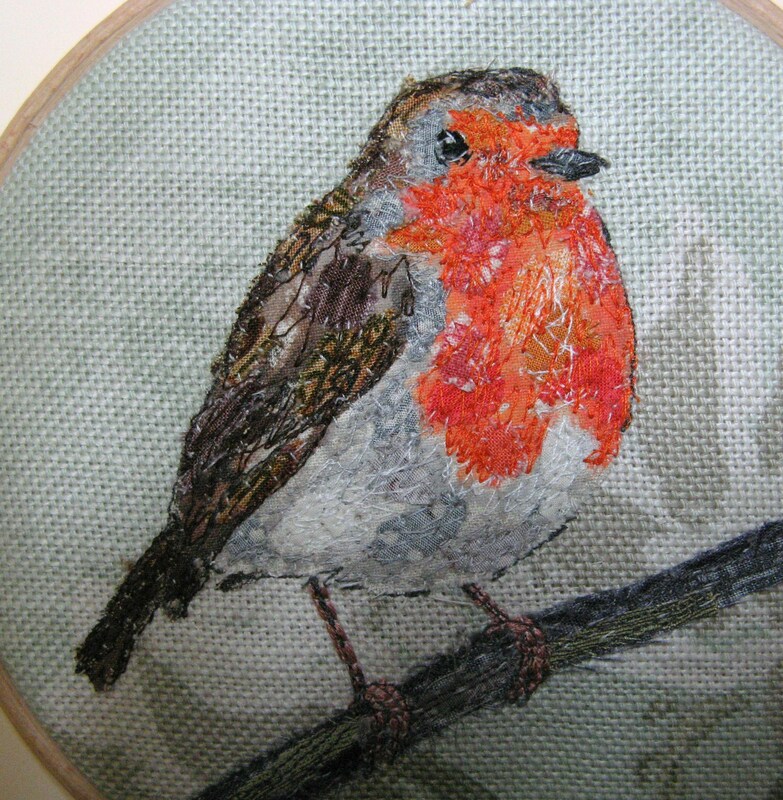 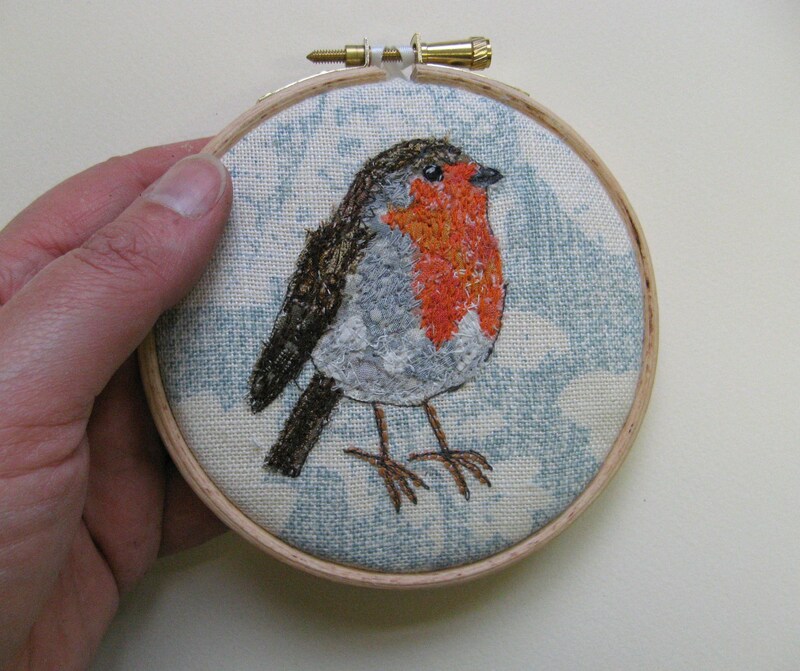 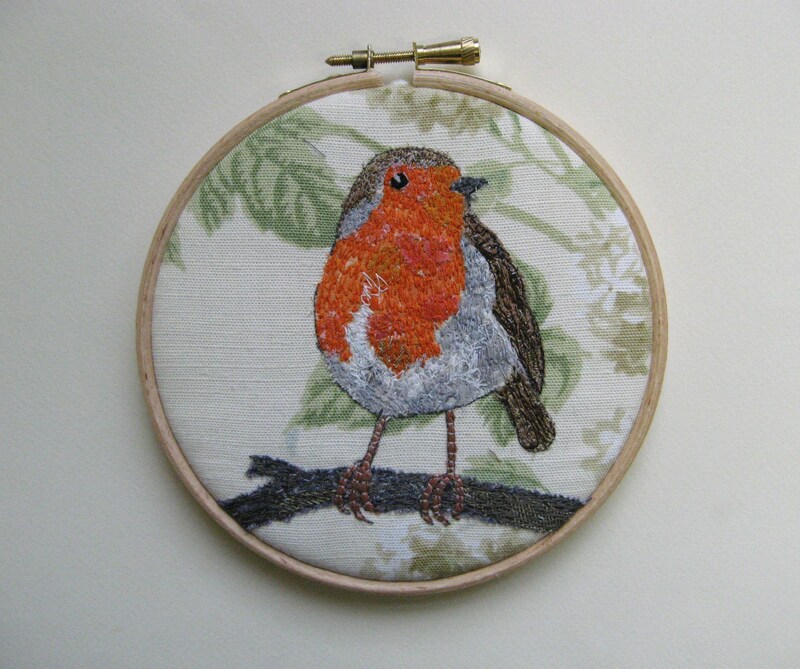 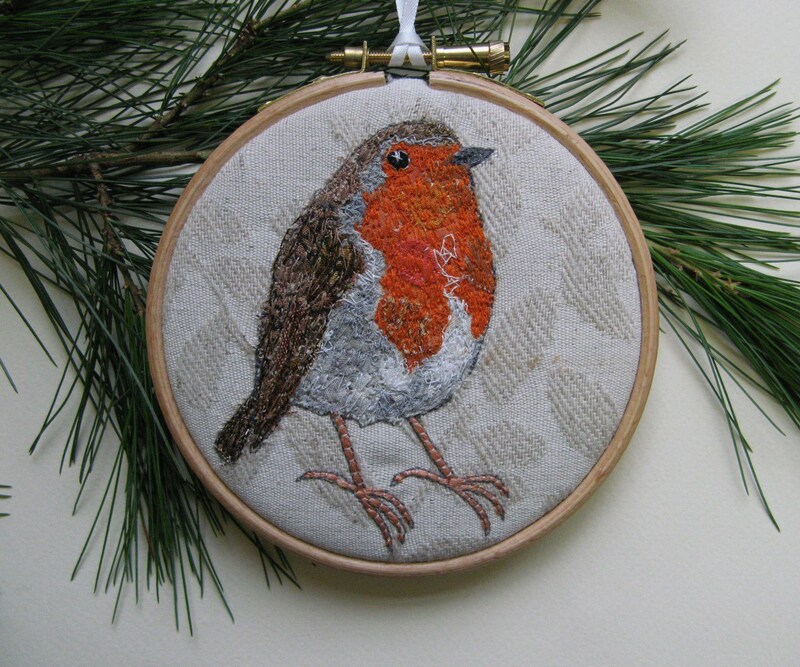 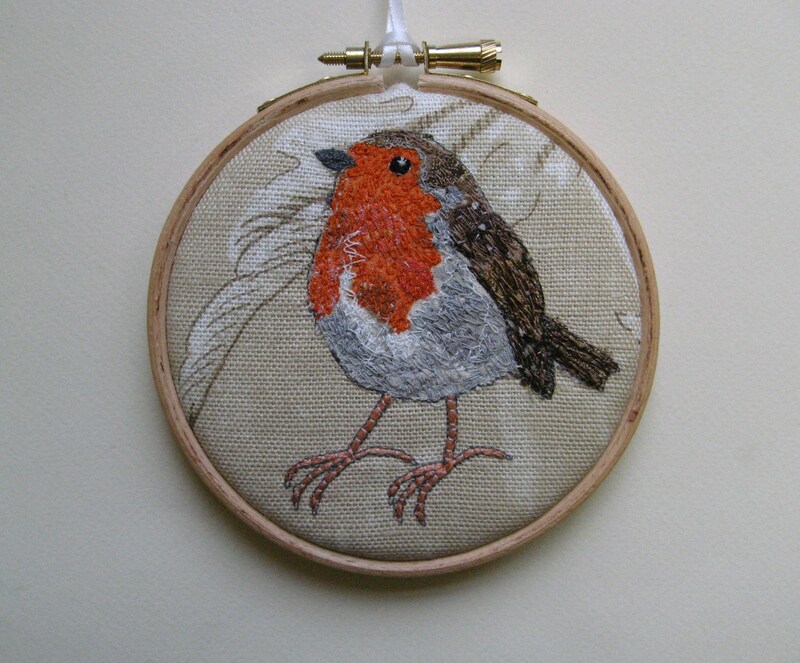 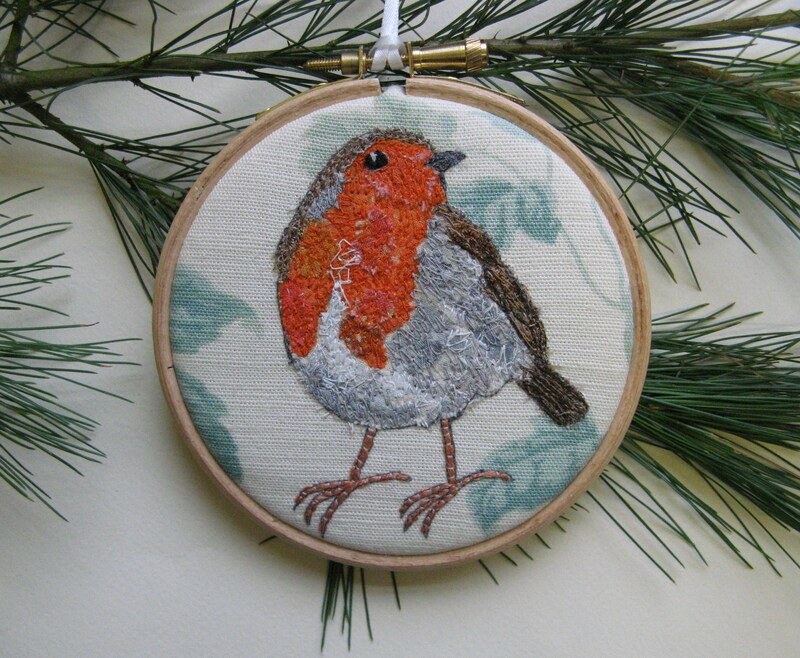 My first robin embroideries all sold out within a couple of days! 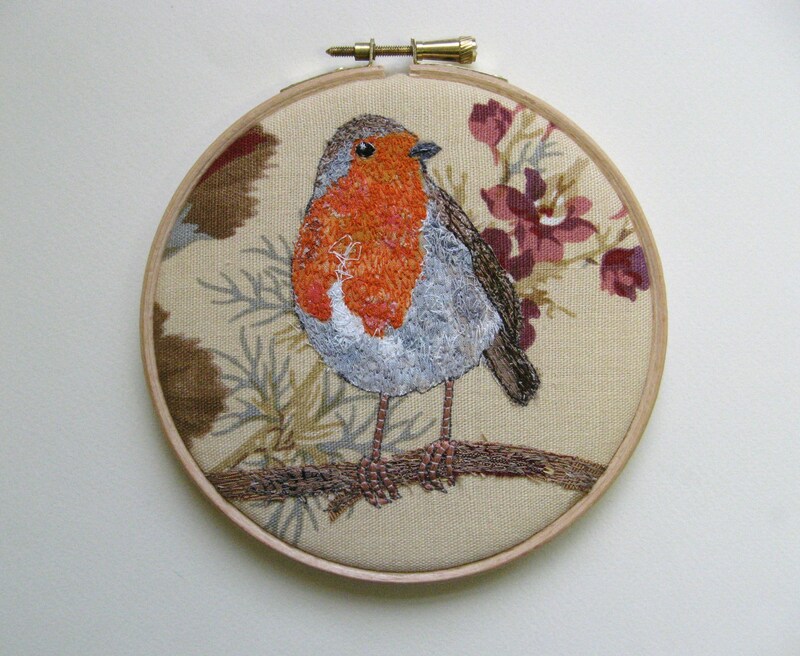 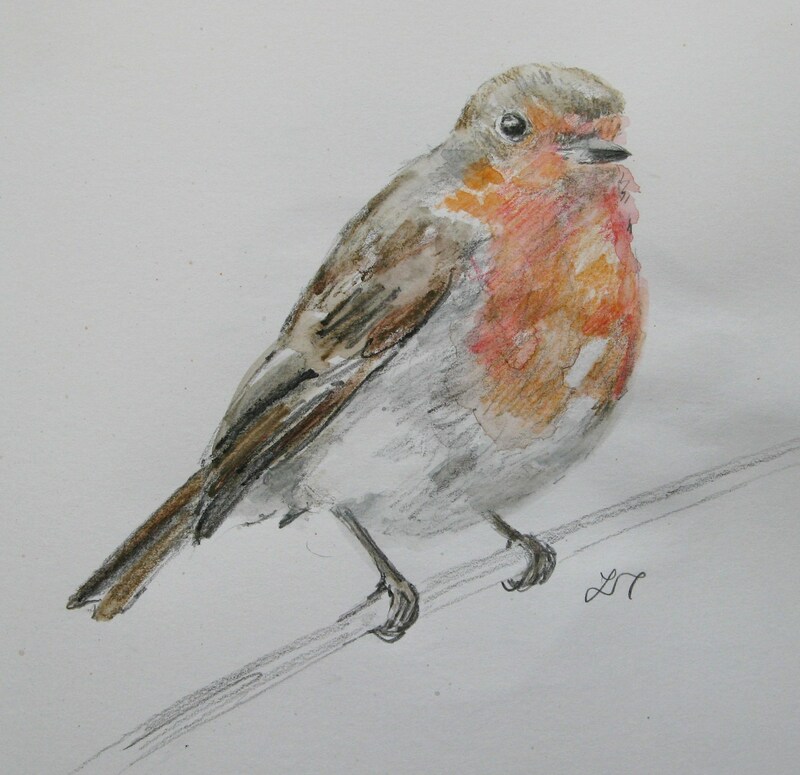 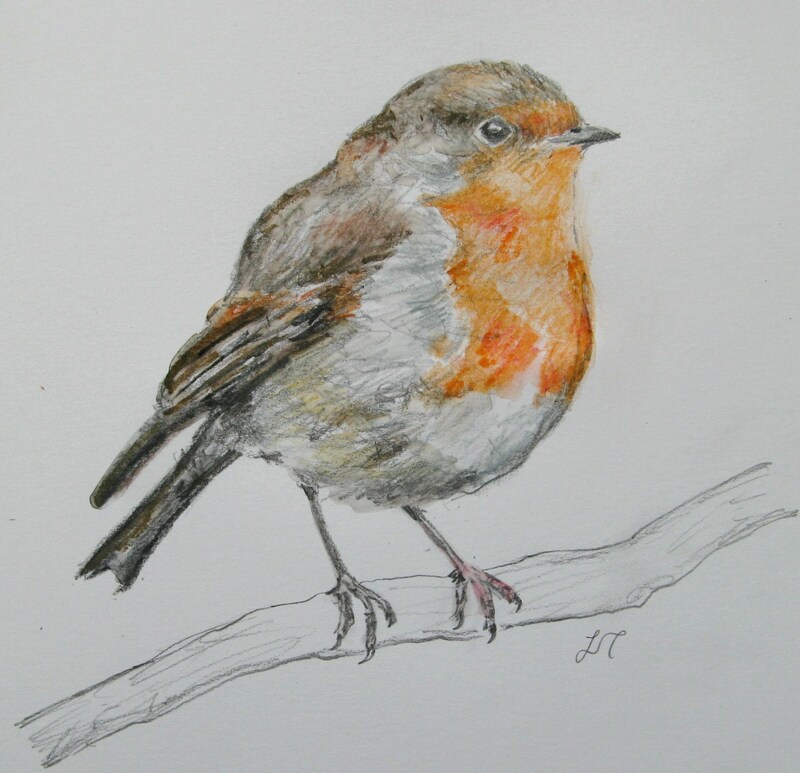 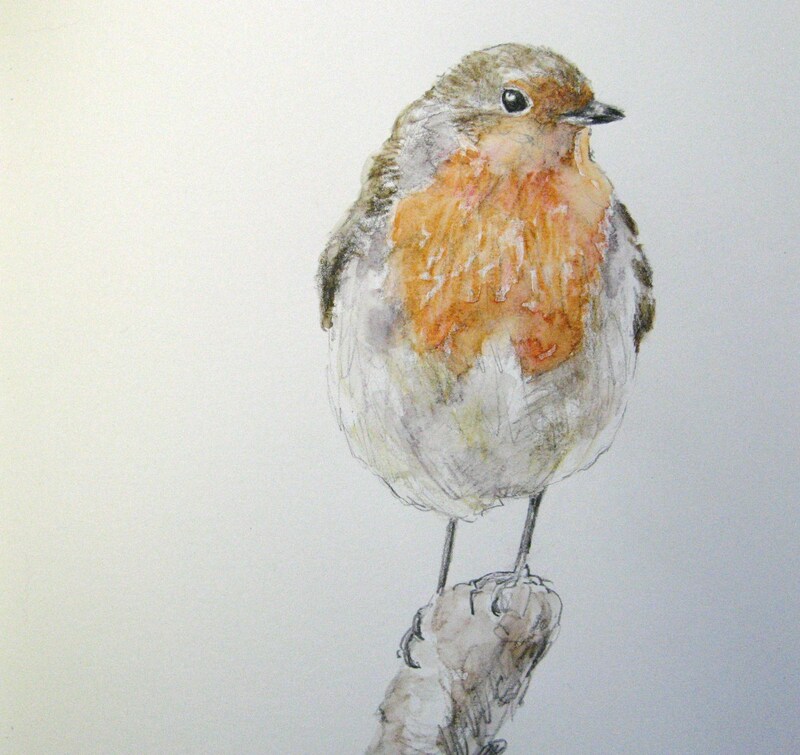 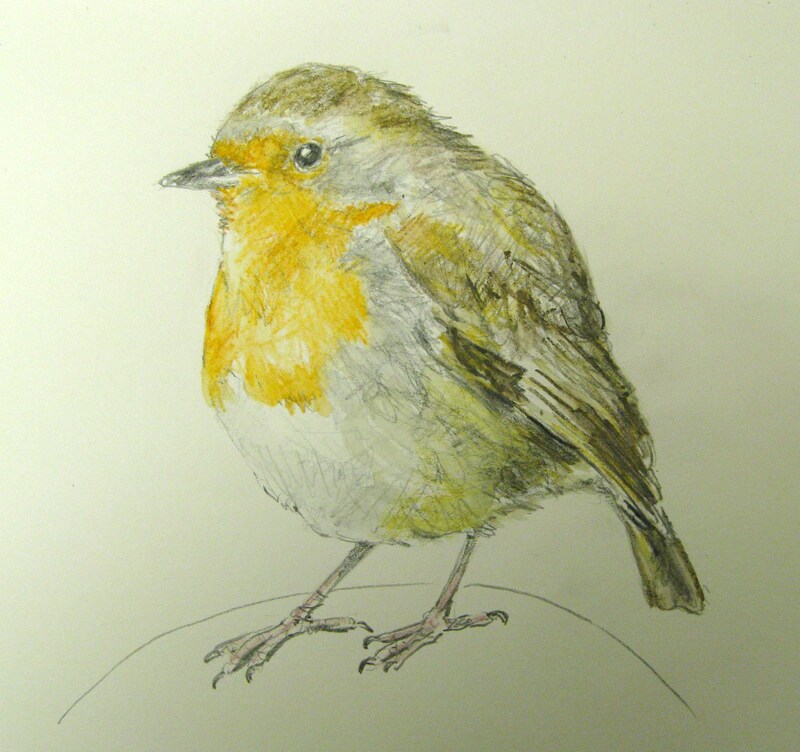 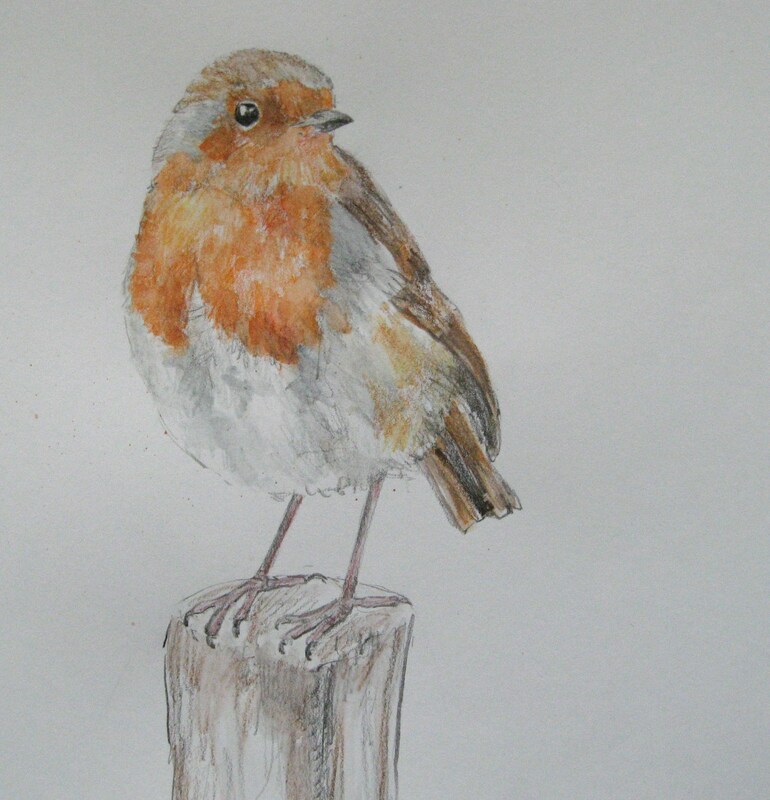 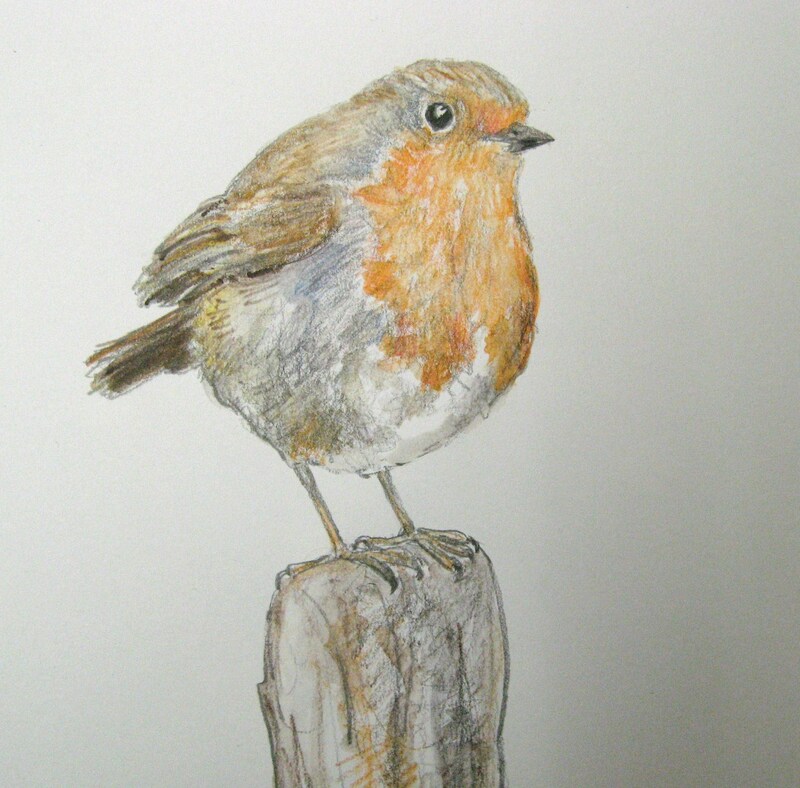 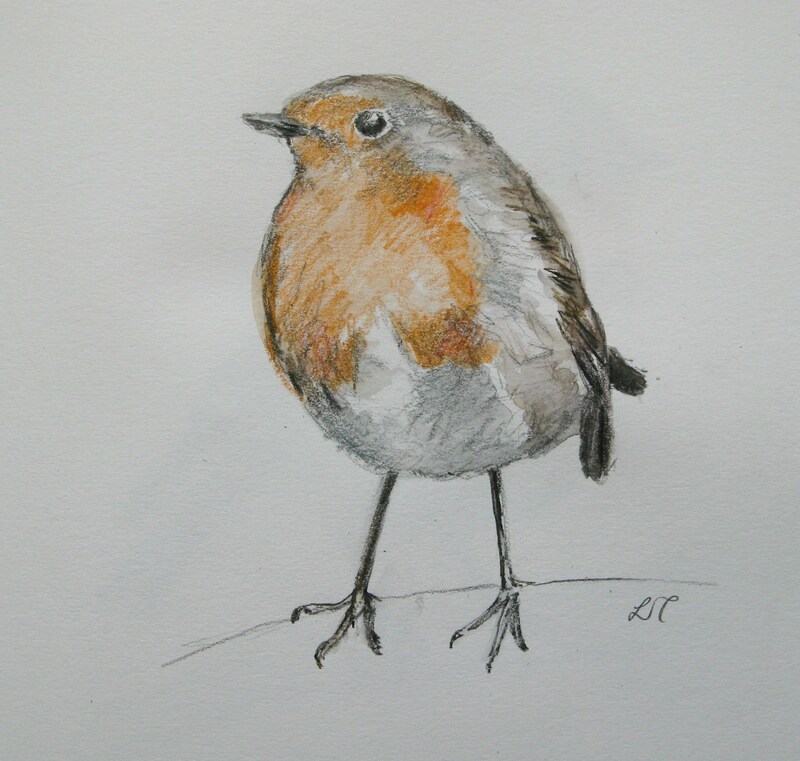 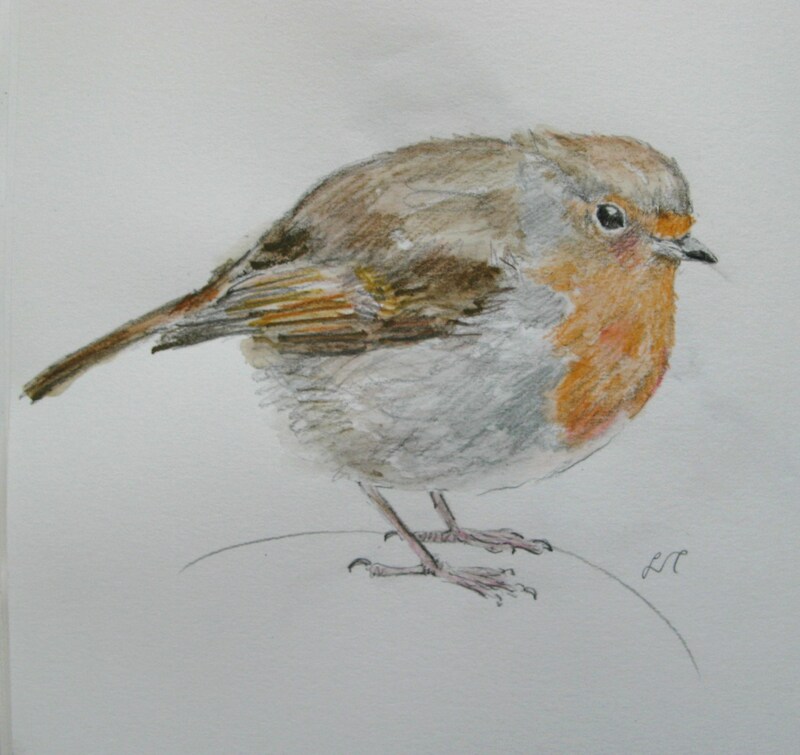 I took inspiration from my robin drawings in my sketchbook, layering tiny scraps of fabric and stitching them in place, using recycled cottons and little pieces of calico that I painted to just the right colour. 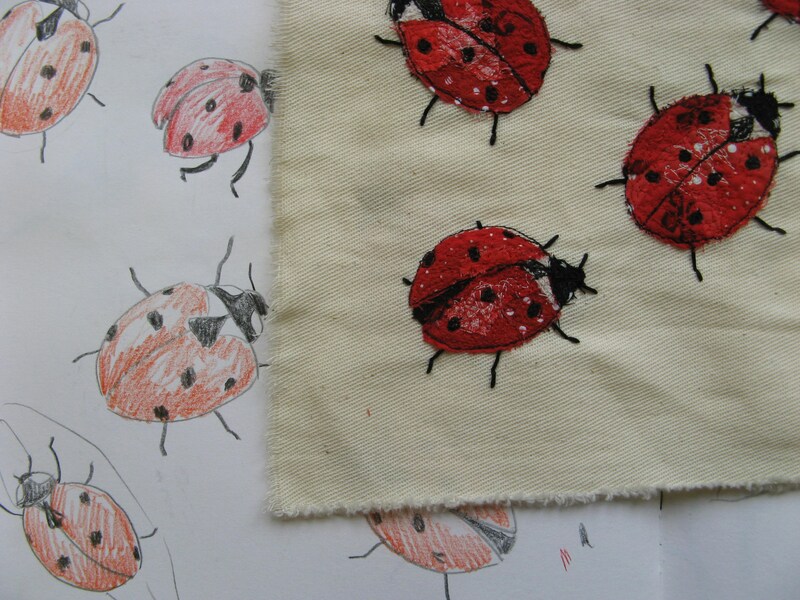 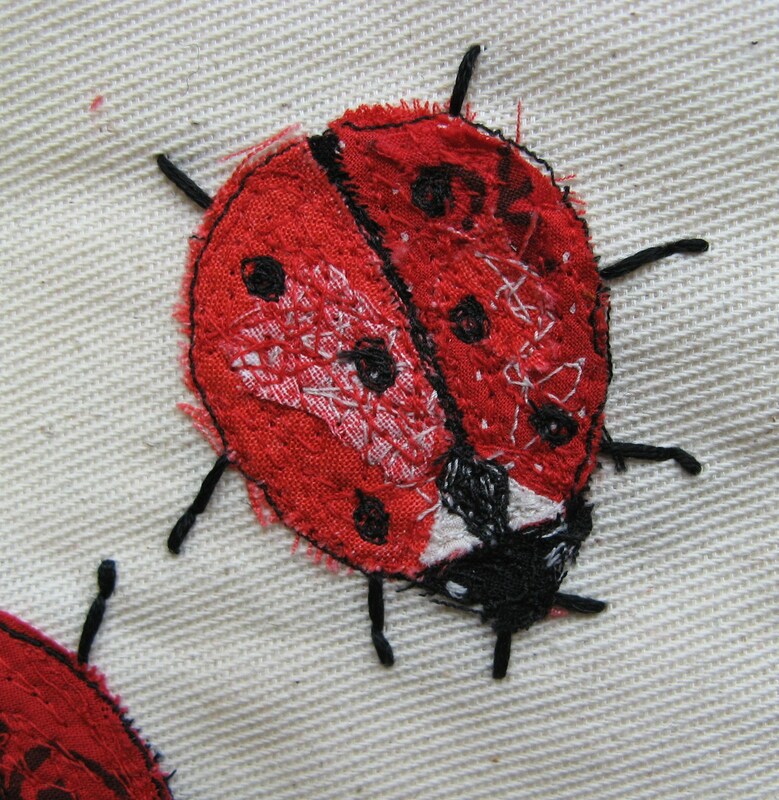 Then lots of scribbly machine stitching added more texture and colour. 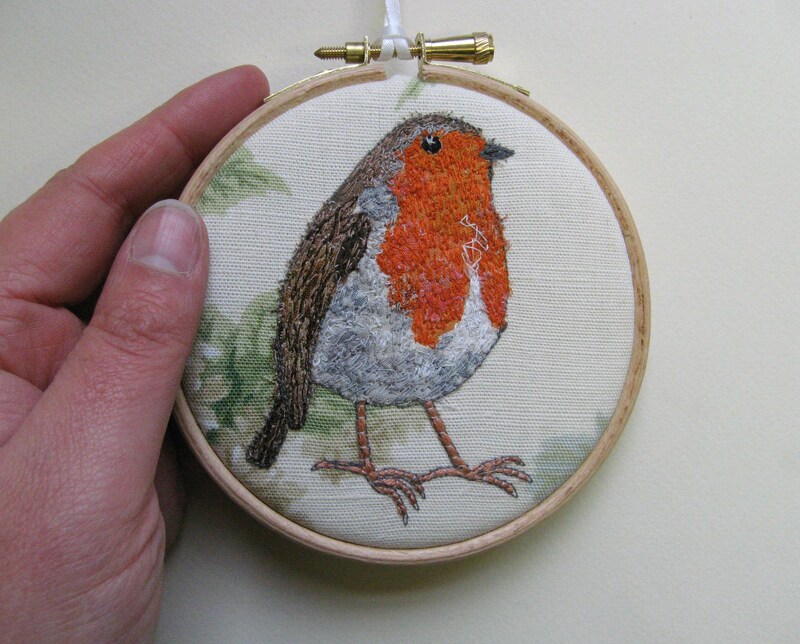 I hand embroidered their little legs and feet. 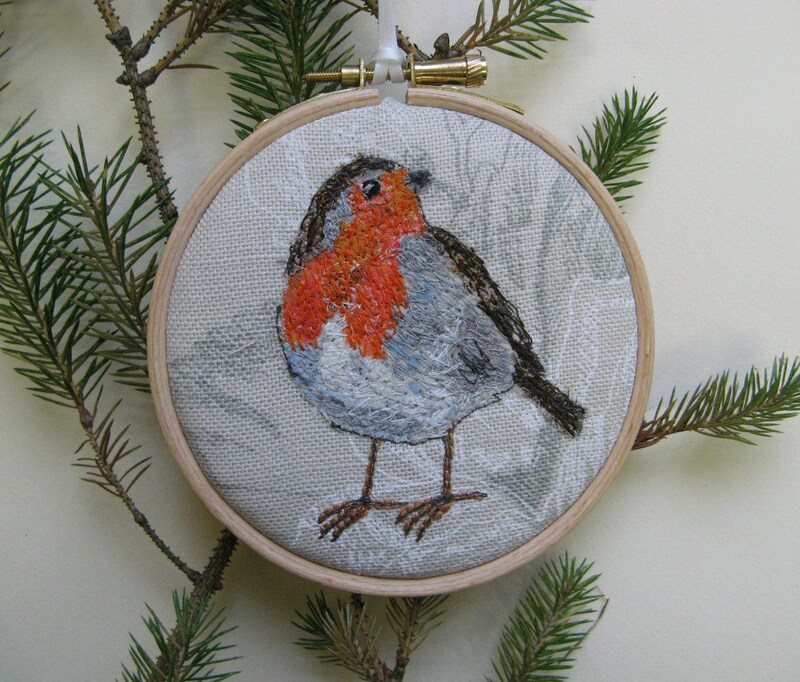 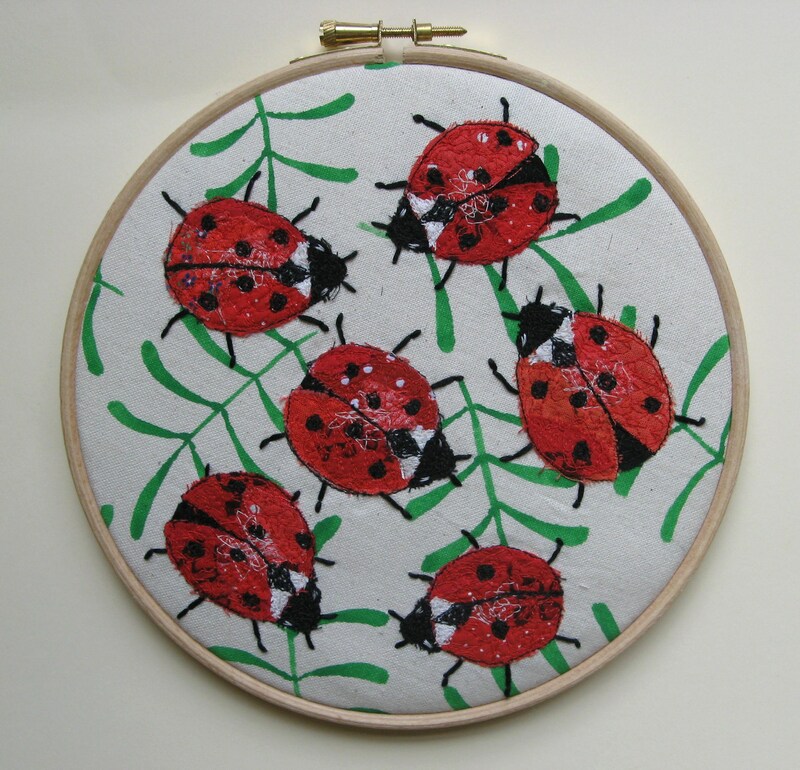 I set them in embroidery hoops- a 6″, a 5″ and a few little 4″ ones, just the right size to hang on the Christmas tree!